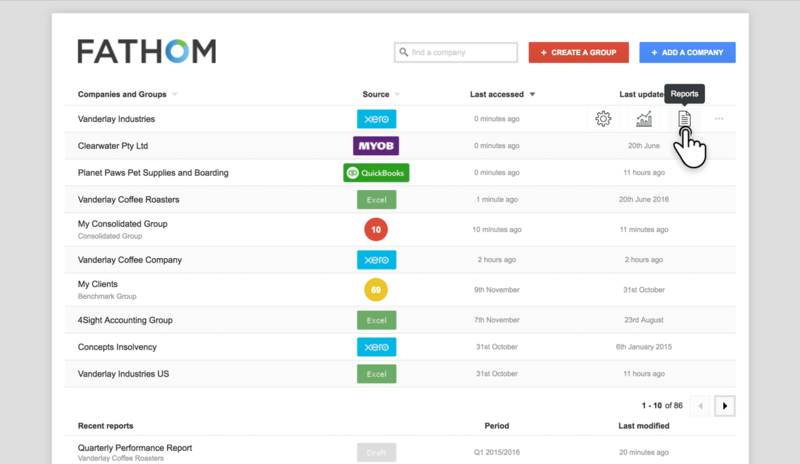 You can access the Report Centre via the 'Reports' icon next to a company or consolidated group in the My Companies screen. The Report Centre has an inbuilt workflow to streamline management reporting. When creating a report, the recommended workflow is to start by creating a 'draft' report from a predefined template. 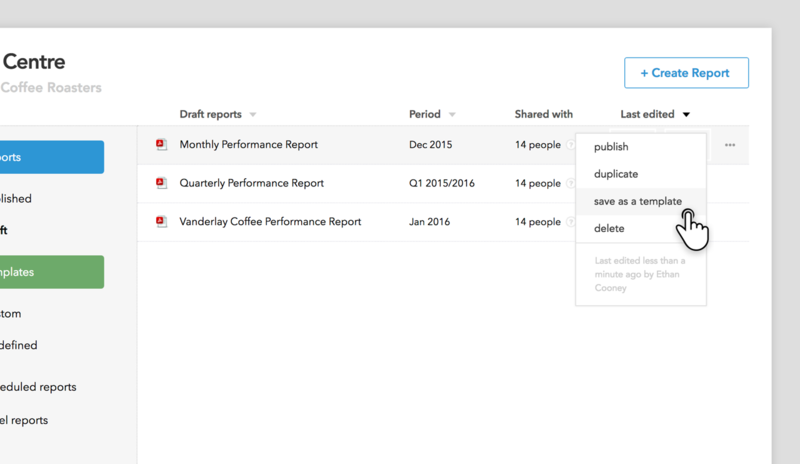 While in 'draft', you can collaborate together with other editors to craft the perfect report. When a report is ready to share with clients or 'viewers', then the report can then be published. Once a report is published, it will remain 'unlocked', so that any subsequent changes to financial and non-financial data are reflected in the report. When the report has been customised, it can be saved for future use as a template. A template can then be scheduled to automatically generate reports at specified time periods. Templates allow you to efficiently create reports for groups of clients. For example, as an advisor you can design a report tailored for clients which operate in a specific industry vertical (ie. pharmacy stores). This template can then be used to create reports for these clients.